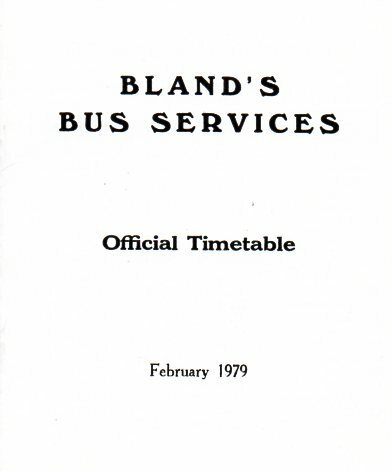 Based in premises in Main Street in the Rutland village of Cottesmore, the well known coach operator Blands also ran several local bus services as well, stretching from their home county into the nearby market towns of Lincolnshire and Leicestershire. For many years the village was associated with nearby ironstone mining. Cottesmore village is not far from the RAF station of the same name which opened in March 1938. 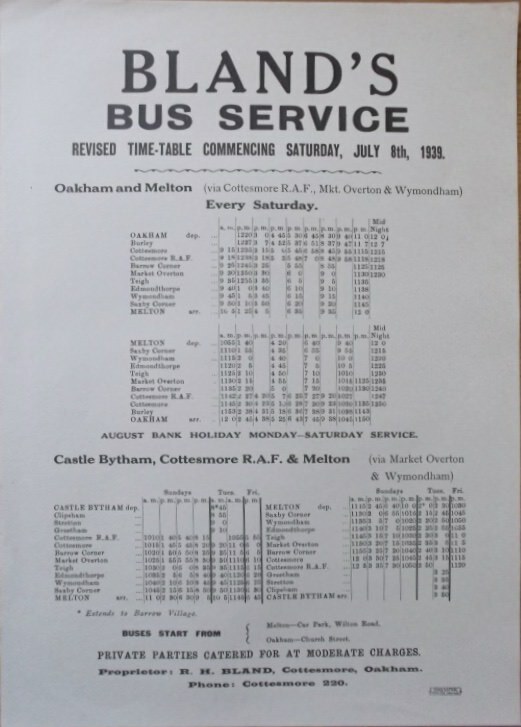 The 1939 timetable below shows a Tuesday service from Castle Bytham as well as extra services to and from the RAF station, including Saturday midnight departures back from both Melton and Oakham. RAF Cottesmore was taken over by the army in April 2012 as Kendrew Barracks. Originally using the name 'Pride of Rutland' the business was founded in 1929 by Reginald Horace Bland at the age of 24. 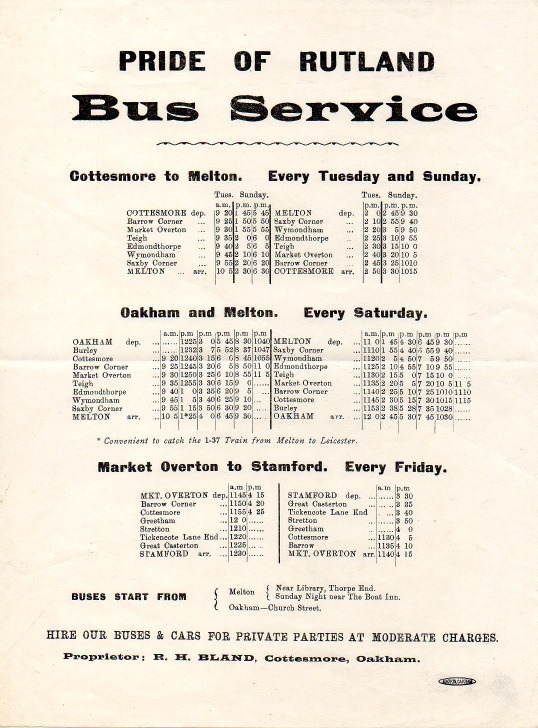 From early days Cottesmore was linked to Melton Mowbray on Tuesdays and Sundays, and this was extended back on Saturdays to start from Oakham via Cottesmore to Melton. Fridays saw a different direction taken with a market bus from Market Overton and Cottesmore via Greetham to Stamford. 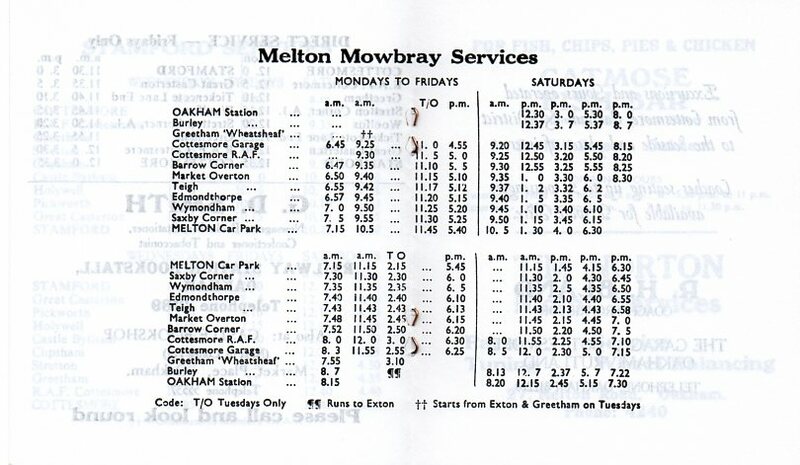 This pattern of services was still similar in the 1979 timetable below but with the Stamford service increased to three days a week (with some journeys now running via Castle Bytham) and the Melton service to six days a week. Outside the Sun Inn in Cottesmore, near to where Blands were based, there is a bench dedicated to the Bland family. Reginald's son Tony (A R Bland) joined the firm in 1953 and ran it until 1997. The founder R H Bland died in 1985. 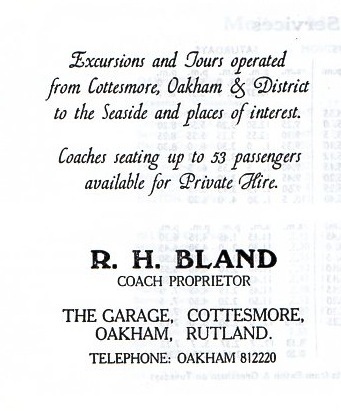 In the same year the business of Clapham's Coaches of Stamford was acquired. Perhaps that was the genesis of Blands (Stamford) Ltd which company was in operation by the time of bus deregulation in summer 1986. 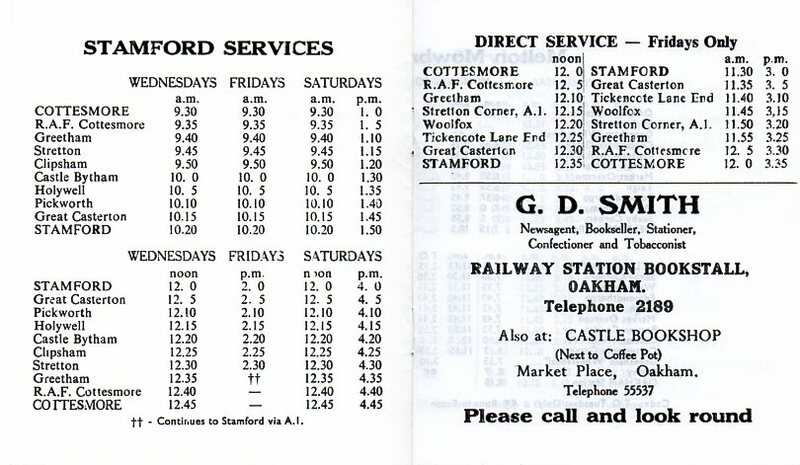 At this time the 'traditional' routes from Cottesmore to Stamford and Oakham were registered to R H Bland of Cottsmore deceased whilst Blands (Stamford) Ltd registered route 9 from Stamford to Peterbrough via Wittering and Wansford (on a limited basis of two return journeys a day); market services to Nassington and Duddington; weekly shoppers services to Kettering and Leicester; and workers services from places such as Swinstead, Sleaford, Pinchbeck, Oakham, Uppingham and Market Overton to the now closed Mirrlees Blacktones engineering works in Stamford. 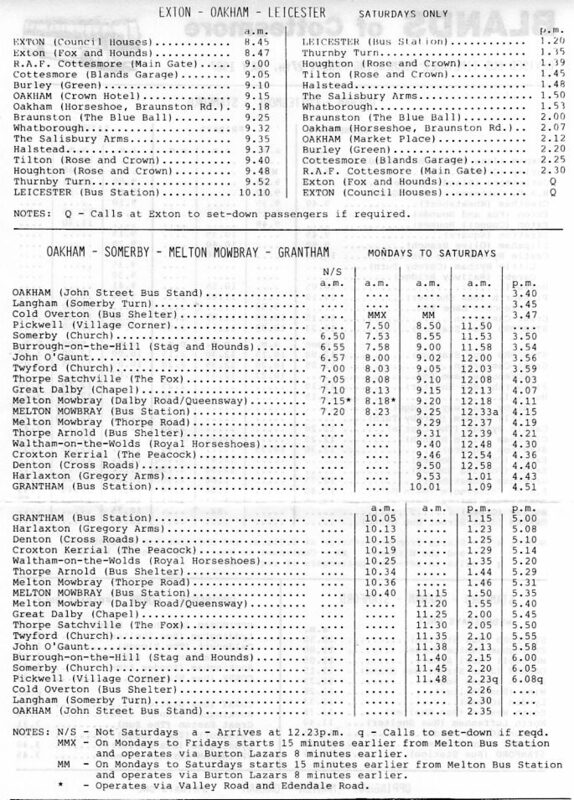 After the 1986 deregulation of bus services new routes such as Grantham to Melton Mowbray followed the withdrawal of Lincolnshire Road Car route 618 (Grantham - Melton - Leicester) As well as the services to Stamford, Oakham, Grantham and Uppingham shown in the 1987 timetable illustrations below there were also the 'traditional routes' between Melton Mowbray, Cottesmore, and Oakham which were included in a separate leaflet. Ian Bland (one of Tony's sons) was also involved in the Cottesmore operation in the 1990s along with his brother Stephen; subsequently operations ceased from Cottesmore in September 1997 because of insolvency with those bus routes passing to Lincolnshire Road Car and Midland Fox. 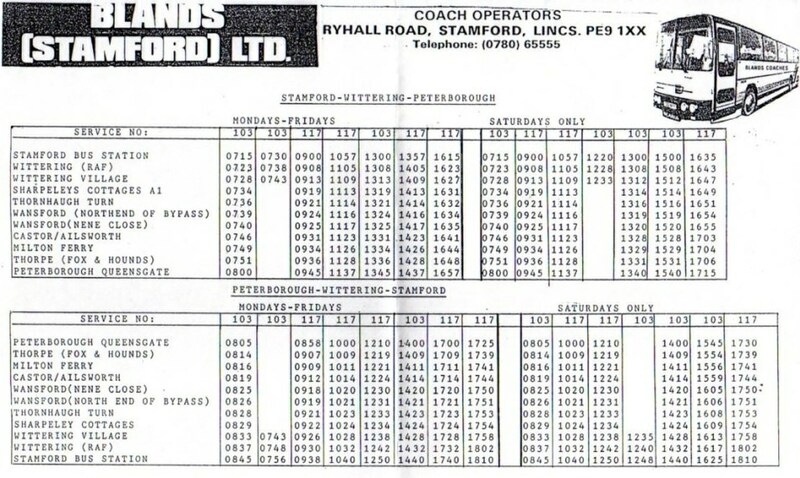 In 1988 Blands (Stamford) Ltd had routes from Stamford to Peterborough via Wansford (by now increased to six returm journeys a day), Stamford to Nassington via Duddington as well as a Stamford town service. This was the year that Barton Transport had withdrawn from the Stamford area (in April, with closure of their Radcliffe Road depot and thirty redundancies), which meant that their services to Peterborough (two different routes) and to Nassington (all ex-Cream) were discontinued. At this time also Delaine of Bourne started to run the other route from Stamford to Peterborough via Barnack (still continuing today as their service 201). 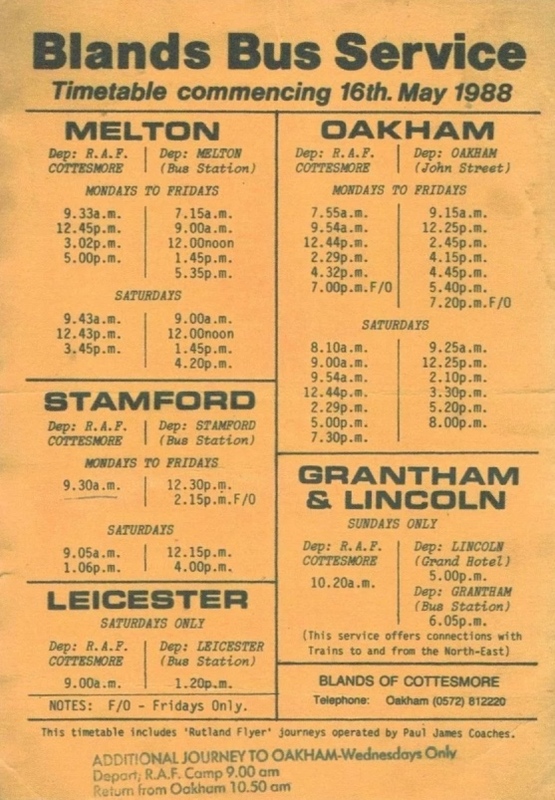 Barton in turn had earlier acquired the routes to Peterborough and Nassington (cut back from Oundle in 1959) from the Cream Bus Service of Stamford in 1961. It is possible that the route to Peterborough was a competitive operation as Kimes of Folkingham were also running over this road in 1989. 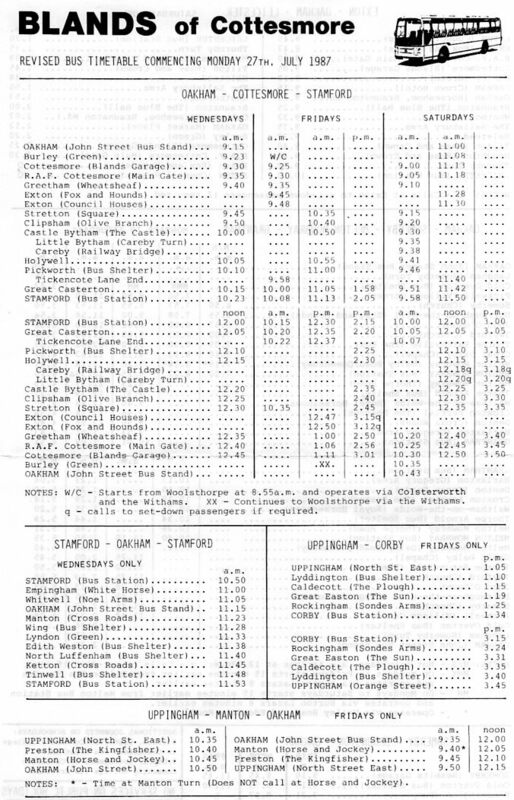 In January 1989 Stephen Bland of Blands Stamford advocated a daily commuter run from Stamford and Peterborough to London which would offer better fares than using the train. By 1999 the operation of the Peterborough route via Wansford was solely by Kimes. 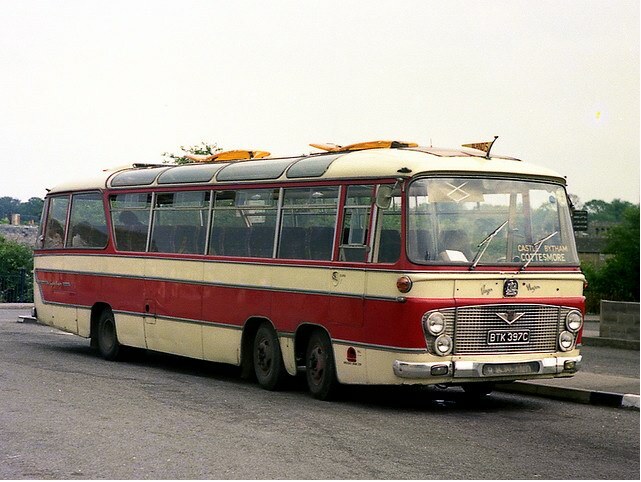 In that year Mark Bland Travel was operating what had been the Blands (Stamford) route to Nassington. In 2001 the Stamford town service had been taken over from Stagecoach Viscount. The relationship between the Stamford and Cottesmore businesses of Blands is not clear although the Stamford business seems to have been run originally by Tony and Stephen Bland. They sold their operation to Midland Fox. Subsequently when Midland Fox withdrew from the Stamford area the Mark Bland Travel business took over their Ryhall premises (which had been the Arriva Midland Fox depot). So, spanning three generations, Mark Bland Travelof Ryhall near Stamford has been established in the area for some years now. Mark (born 1967) is one of Tony's sons, brother to Ian and Stephen, and thus the grandson of the Cottesmore founder Reginald Bland. Local bus services in and around Stamford are in operation, as well as schools, private hire and tour work. The main current bus routes operated (2019) are schools orientated services from Colsterworth, Corby Glen, Whissendine and to Grantham together with the Stamford Hopper town service 182. The market day service from Stamford to Oundle via Duddington ran until 2015.